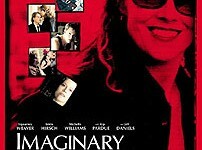 Starring Sigourney Weaver, Jeff Daniels, Emile Hirsch, and Michelle Williams, "Imaginary Heroes" is a funny and poignant coming of age story in which the façade of an ordinary American family is peeled back to reveal that nothing is as it seems. Tim Travis (Hirsch) is walking through his life like it's a bad dream. His mother Sandy (Weaver) is the master of the Travis house - with a healthy drug habit, a decade long grudge, and a secret that is literally tearing her apart. His father Ben (Daniels) is a shell of the man he once was, crippled by circumstance and blind to the mistakes of his past. But in typical American style, the Travises aren't depressed - they're living their lives in a forlorn haze. As painful revelations are made that threaten to divide the family, moments of laughter and truth provide the salve that ultimately bring them closer together.